I like to have a look at scams. 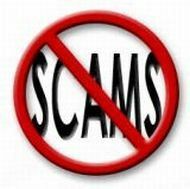 If you are unsure whether a shopping site is a scam or not - ask me! Dubious website. Uses fake address and fake phone number. They hide that they operate out of China. Uses fake Norton Security seal. Uses fake reviewers too, as you can see here. Looks like a 100% scam site. Typical Chinese electronics scam. After you pay you never hear again from them. Typical Chinese wedding dress scam with plenty of fake pictures stolen from other sites. They also create many new IDs here to give themself glowing reviews. The old electronics scam still alive and active. The minimum requirement for a webstore is to have a company name and an address. Both are missing here. Just a reminder how Chinese electronics scams look like. After the money is gone they usually ask for more money with some fake reasons. Or they simply stop all communications. Chinese webstore trying to harvest credit card data from Japan. Phishing site! Fake cosmetics can be extremely dangerous. You have no idea what's in it. On the good side, it's certainly not animal tested. But you are the animal now. And trust me, those people give a *hit if you get hurt or not. They only care about your money. 8 positive ratings, minutes apart. How more obvious can a scam be? Stay away from Chinese wedding dress scams! Watch out for Chinese wedding dress scams! Chinese wedding dress site that uses a fake address, don't expect quality here.